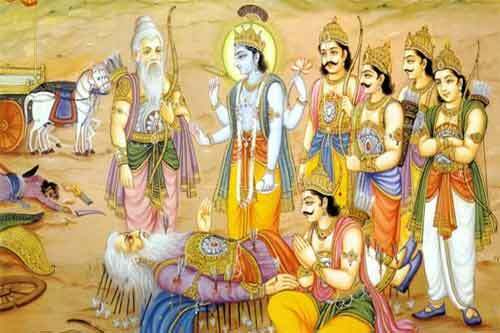 Purva Punya in Hinduism is the effects of good deeds done in previous births. The karmas that were performed in previous births which were beneficial to nature and other living beings form part of Purva Punya. Luck and fate in this birth depends on Purva Punya. It is due to Purva Punya that a person is born in good family with good lineage, absence of poverty, good education, and absence of mental and physical defects, good behavior and favorable circumstances. The eleventh, ninth and second houses of person’s horoscope gives an idea about Purva Punya. The ninth division is especially helpful in determining the good effects of previous births. The effects of Purva Punya in this life especially regarding long life, children, health etc can be ascertained from these three houses. It is stated clearly in the Bhagavad Gita that an individual is linked through Prarabdha Karma. The individual with good parabha and a good dharmic life enjoy good results in this life. A person who follows Dharma leads a good life. Providing food to needy living beings – will never suffer due to poverty. There will be good food and clean water available in life. Showing compassion and mercy – it gets you compassion and mercy.